Mount Shasta is a 14,62 foot stratovolcano. 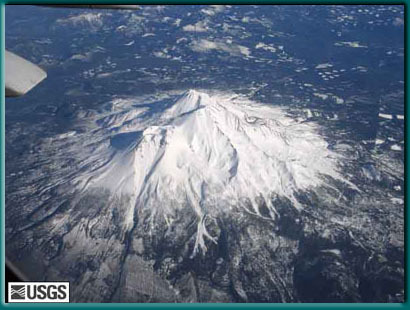 It is the second highest peak in the Cascade Range, and the fifth highest peak in California. It is a member of the Cascade Volcanic Arc. Encompassed by the Shasta-Trinity National Forest, Mt. Shasta was designated a National Natural Landmark by the U.S. National Park Service in December, 1976. 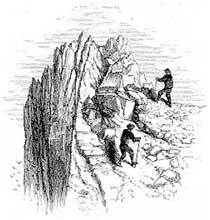 It is home to five glaciers, including Whitney Glacier, the largest in California. Four main river systems get their start from headwaters on the mountain: the Shasta River to the northwest, Sacramento River to the west and southwest, and the McCloud River to the east, southeast and south. Mt. Shasta is a popular destination for hikers and mountain climbers as well as skiers. The mountain is believed to be a vortex, and its history is steeped in mythical and Native American lore. Northern California's Wintu gather each summer for healing rituals in a meadow on the mountain. 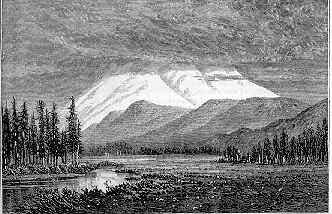 What follows is an excerpt from John Muir's Snow-Storm on Mount Shasta, published in Harper's New Monthly Magazine. Vol.55, No. 328 (September 1877). Since the close of the ice period, nature has divided Mount Shasta into three distinct botanic zones. The first, which may be called the chaparral zone, has an average width of about four miles, and comprises the greater portion of the sandy flood beds noted above. They are densely overgrown with chaparral from three to six feet high, composed chiefly of manzanita, cherry, chincapin, and several species of ceanothus, forming when in full bloom one of the most glorious spectacles conceivable. The continuity of these immense chaparral fields is grandly interrupted by wide swaths of coniferous trees, chiefly sugar and yellow pines, with Douglass spruce, silver-fir, and incense cedar, many specimens of which are over 200 feet high and six or seven feet in diameter at the base. Golden-rods, asters, gilias, lilies, and lupines, with a multitude of less conspicuous herbaceous plants, occur in warm openings of the woods, with forms and colors in delightful accord, and enlivened with butterflies and bees. The next higher is the fir zone, made up almost exclusively of the three silver-firs, viz., Picea grandis, P. amabilis, and P. amabilis, var. nobilis. This zone is from two to three miles wide, has an average elevation above the sea on its lower edge of 6000 feet, on its upper of 8000, and is far the simplest and best defined of the three. The Alpine zone is made up of dwarf pines, heath-worts, stiff wiry carices, lichens, and red snow. The pines attain an elevation of 9500 feet, but at this height their summits rise only three or four feet into the frosty air, and are close-pressed and level, as if crushed by winter snow, and shorn off by the icy winds, yet flowering nevertheless, and sometimes producing cones and ripe nuts. Bryanthus, a beautiful flowering heath-wort, flourishes a few hundred feet higher, accompanied by kalmia and spiraea. Dwarf daisies and carices attain an elevation on favorable slopes of 11,000 feet, while beyond this a scanty growth of lichens and red snow composes the entire vegetation. The bulk of the forest is made up of the three silver-firs, Douglass spruce, the yellow and sugar pines, and incense cedar, and of these Picea amabilis is at once the most abundant and the most beautiful. In journeying up the valley of the Upper Sacramento one obtains frequent views of Mount Shasta, through the pine-trees, from the tops of hills and ridges; but at Strawberry Valley there is a grand out-opening of the forests, and Shasta stands revealed at just the distance to be seen most comprehensively and impressively. Looking at outlines, there, in the immediate foreground, is a smooth green meadow with its crooked stream; then a zone of dark forest, its countless spires of fir and pine rising above one another higher and higher in luxuriant ranks; and above all the great white cone sweeping far into the cloudless blue--meadow, forest, and mountain inseparably blended and framed in by the arching sky.